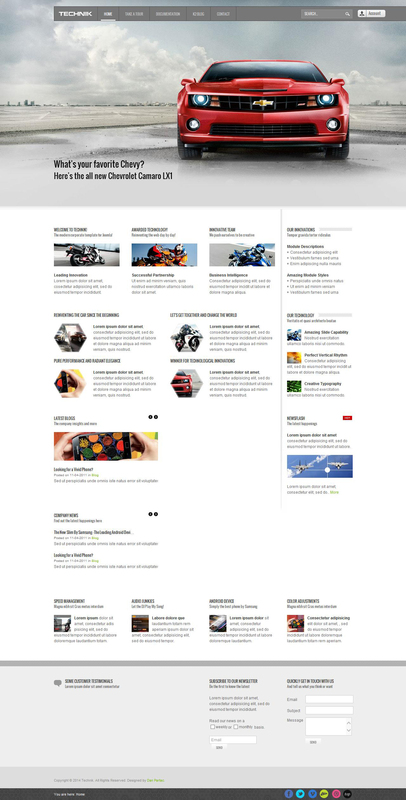 TF Technik Template is suitable for version 2.5 Joomla. Its developers are studio designers ThemeForest. Template created for resources on technology. Module Skitter Slider Module provides a simple and stylish printing to a site. Layout integrated component K2, has a modern interface, 5 style solutions for light and dark background, 20 styles for modules and materials, as well as 30 module positions. Layout operates on CSS3, has the support of Google Maps plugin and module search Ajax. Pattern is characterized by flexibility and functionality to manage.